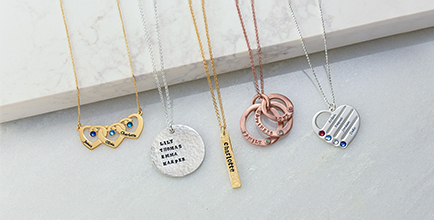 Hammered necklaces offer unique appeal, and this one is extra-special thanks to lots of unique touches! 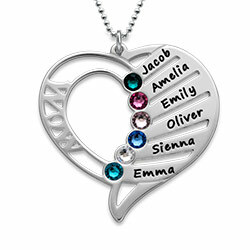 Mom is certain to fall in love with our Always a Family Sterling Silver Necklace With Birthstones; it celebrates the people who mean the most to her while offering lots of color and sparkle. 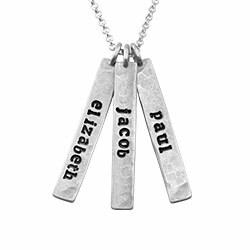 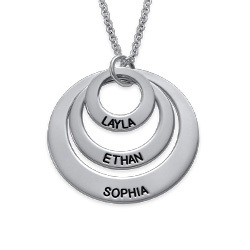 This hammered family circle necklace is made with sterling silver, and hangs from a matching rolo chain in your choice of length. 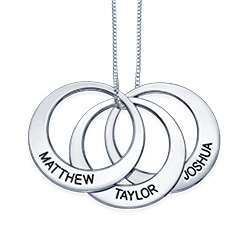 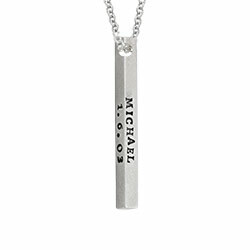 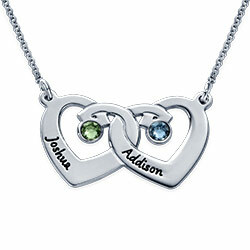 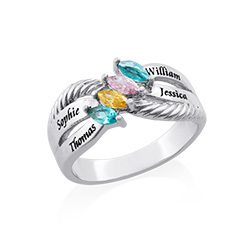 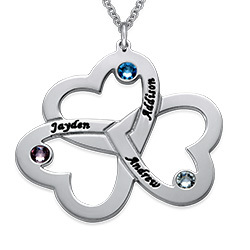 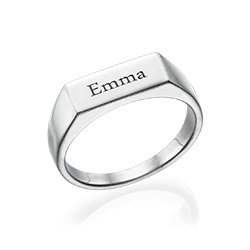 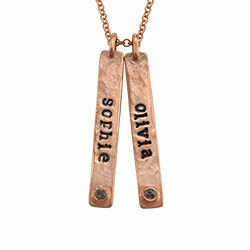 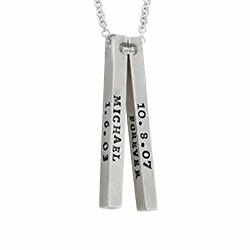 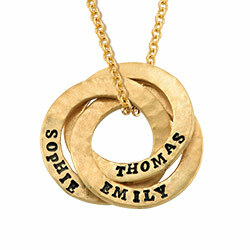 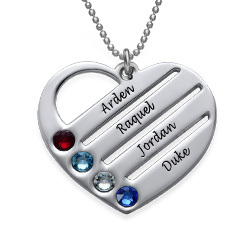 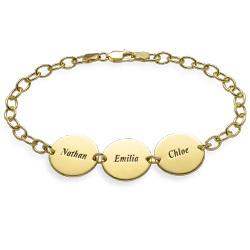 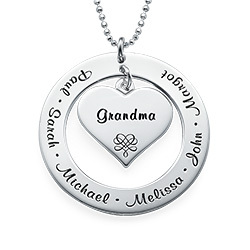 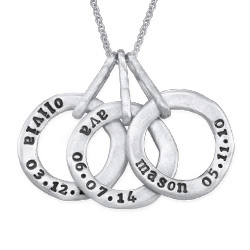 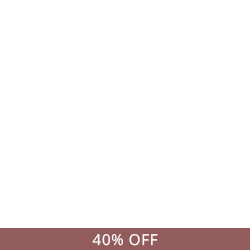 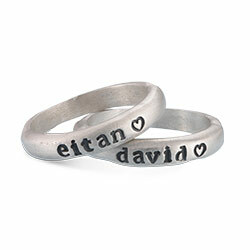 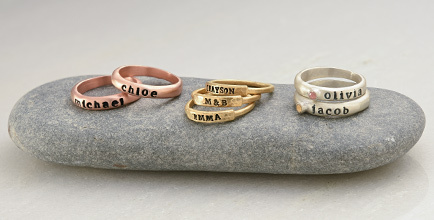 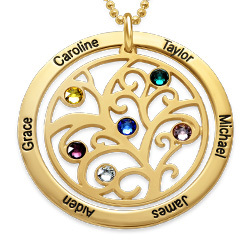 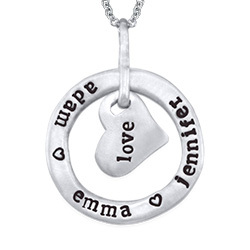 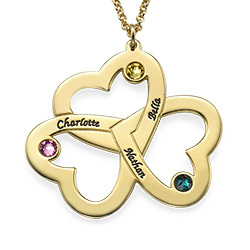 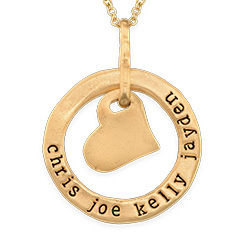 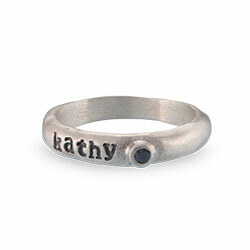 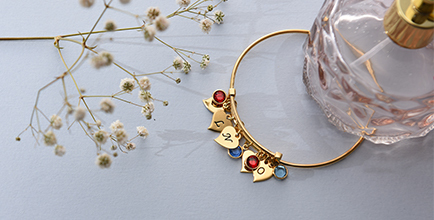 With four different-sized circles, each with a single inscription and one lovely birthstone. 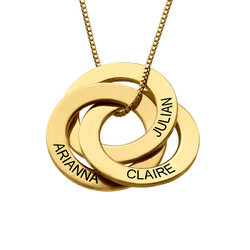 See our collection for more circle pendant necklaces including this stunning style in your choice of 18k gold plate or 18k rose gold plate.